Here it is—the special edition November box—all decked out for the holidays! Stampin’ Up! is keeping the inside a secret, but here’s a hint: if you like the outside, you’ll LOVE the inside! Subscribe by November 10 to get yours. 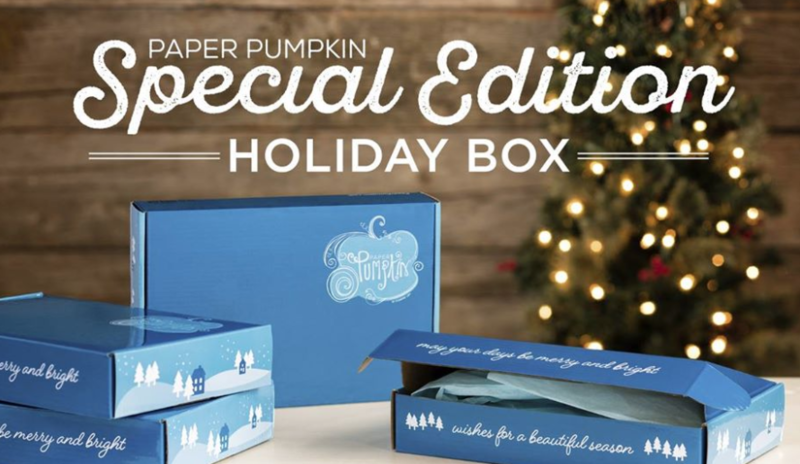 Month – To- Month Subscriptions – Visit MyPaperPumpkin.com and sign up for Paper Pumpkin. To Subscribe To Paper Pumpkin – CLICK HERE! !